Tired of waking up late, struggling to pull out of bed every morning? You aren’t alone. 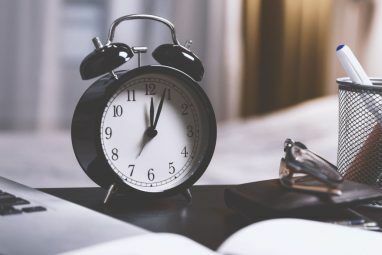 There are dozens of apps out there, created by groggy people like yourself, that are designed to help you snap out of sleep and start the day. Which ones are the best for you? Sometimes, the answer to a better morning is better sleep. It’s true that apps can help you sleep better Can An App Really Help You Sleep Better? Can An App Really Help You Sleep Better? I've always been a bit of a sleep experimenter, having for much of my life kept a meticulous dream diary and studied as much as I could about sleeping in the process. 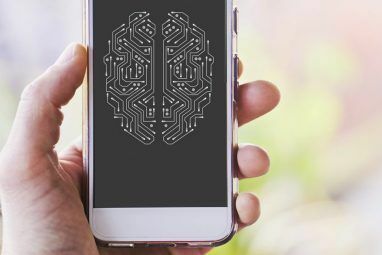 There are a... Read More , whether it’s by producing white noise 3 White Noise Apps To Help You Sleep, Concentrate & Relax 3 White Noise Apps To Help You Sleep, Concentrate & Relax If you're trying to sleep or work and an incessant background noise won't let up, these apps will help. Read More or reducing screen temperature The 5 Best Apps to Manage Screen Brightness on Android The 5 Best Apps to Manage Screen Brightness on Android Improper screen brightness settings can cause your eyes to strain and fatigue. That's why you should be using one of these Android screen brightness apps. Read More . 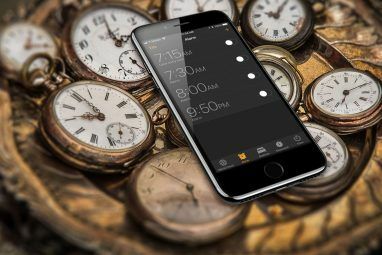 But if you have a hard time waking up even after a night of proper rest, these apps might be the real answer you need. I Can’t Wake Up! is one of my favorite alarm clock apps of all time. It comes equipped with 8 different Wake Up Tasks that force you to perform focused-brain activities in order to turn the alarm off. By the time you shut off the alarm, you’re wide awake and have no excuse to sink back into your dreams. The Wake Up Tasks are incredibly diverse. This app can make you solve math problems, play matching games, repeat a randomly generated click sequence, rewrite lines of text, or even just shake the phone vigorously for a few seconds. Only when you succeed with the alarm be disabled. One of the more intriguing tasks involves setting up a barcode somewhere in your home. When the alarm rings, you have to scan the barcode with your phone. This is super effective if you live in a multi-story home and are forced to run downstairs. If that doesn’t wake you up, nothing will. Of course, you can choose which Wake Up Task you want per alarm. The free version of I Can’t Wake Up! is supported by banner ads. By upgrading to the paid version for $2.99 USD, you can get rid of them. 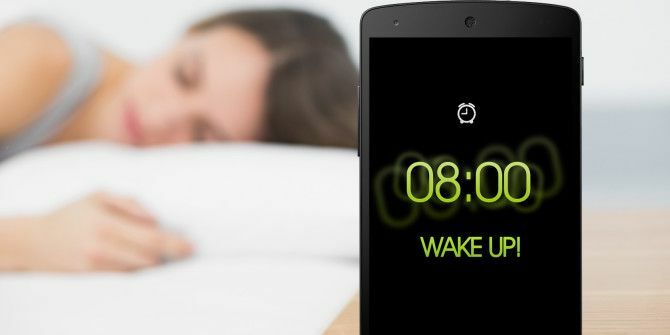 Alarm Clock Plus is one of the best Android alarm clock apps available on the Play Store and it’s completely free. If you don’t believe me, you don’t have to take my word at face value. After 120,000+ reviews, this app still shines with a 4.5 star rating. Not many apps can boast those numbers. It’s more than just a basic alarm clock. There are multiple alarm types that are suitable for different occasions. The Nap Alarm is a quick way to set a one-time alarm. The Math Alarm requires an equation to be solved (similar to I Can’t Wake Up!). The Music Alarm plays a random song from your phone while the App Alarm launches a specified app when time’s up. And that’s what Alarm Clock Plus does best. Sure, when you strip away all of the gimmicks it’s little more than a glorified alarm clock, but the variety is what keeps you on your toes. If that’s all you need, then this is the app for you. The free version is ad-supported but you can get rid of them with the $0.99 paid version. Earlier this year, Pandora Internet Radio updated their mobile apps to include an alarm function. We covered the Pandora alarm update back when it launched, but for those of you who missed it, you may be pleased to learn that your favorite Internet radio 5 Cool Things You Can Do With Pandora Music Radio 5 Cool Things You Can Do With Pandora Music Radio Read More app is now capable of waking you up to music. It’s simple, too. Just set the alarm options (time, repeat type, snooze length, volume) and the station that you want Pandora to play when the alarm rings. Once it does, you have the choice of dismissing the alarm, snoozing the alarm, or letting the music keep playing. It’s a nifty feature for when you want to wake up to a particular type of music that isn’t always the same song. Is a regular alarm clock enough for you? What do you think of these specialized wake-up tools? Which one do you use, if any? Share your thoughts with us in the comments! Not a single one works for me. The barcode scanner doesn't recognize my barcodes. For people outside the US who can't get access to iheartradio, Tunein radio also has an alarm clock function so you can wake up to your favorite local radio station or one on the other side of the planet, pretty cool! AlarmPad is a pretty decent app. It lets you Enabled and Disable alarms by swiping side to side. If you have an alarm that only needs to happen on occasion you can disable it until needed by swiping. Timely is free? Didn't know that. It's quite a pretty app so I may have to switch over now. Thanks for the heads up! Life reminders is completely free! with no ads! and gets the same things done! Not forgetting it also reminds you of events round the calender too! Pandora Radio isn't the only app with an alarm clark. iHeartRadio also has an alarm clock. I don't use iHeartRadio so that's good to know. Thanks!